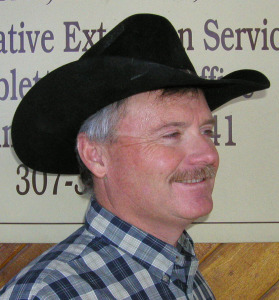 Eric Peterson has been hired to fill a new position as pilot administrator of the Wyoming Conservation Exchange. A landowner-led conservation effort in Wyoming has sparked a new market and has now created a new job. The University of Wyoming recently announced the hiring of a new pilot administrator of the Wyoming Conservation Exchange, a voluntary, market-based program that seeks to enroll local landowners in landscape-scale conservation of greater sage-grouse, mule deer and hydrologic services. Eric was formerly manager of the Sublette County Conservation District, where he played a critical role in developing the Wyoming Conservation Exchange with partners from the University of Wyoming, Environmental Defense Fund, the Wyoming Stock Growers Association and the Wyoming chapter of The Nature Conservancy. In his new role, Eric will work with potential buyers and sellers of conservation credits to facilitate pilot transactions and market growth. I asked Eric to share some thoughts on what drew him to this role and what he hopes to achieve over the next few months.